We are offering Mild Steel Railings. 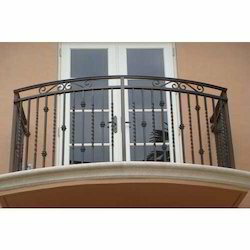 We are one of the trusted companies of Wrought Iron Stair Railing. Our products are enormously admired in the market owing to their top features. While bringing wide variety in offered products, we are providing specifically designed MS Railing to the prestigious patrons. Esteemed clients can avail from us a comprehensive assortment of Mild Steels Industrial Parts products, which is acknowledged for its accurate dimensions, high tensile strength, excellent resistivity against corrosion abrasion. 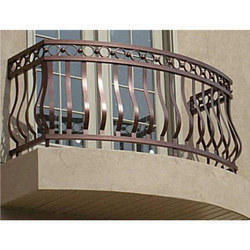 Backed by our prosperous industry acquaintance, we offer an extensive range of MS Deck Railing. We have gained a remarkable position in the market that is involved in offering MS Stairs Railing. We are proficient to offer a superior assortment of MS Staircase Railing, which is identified for excellent quality and nominal prices.